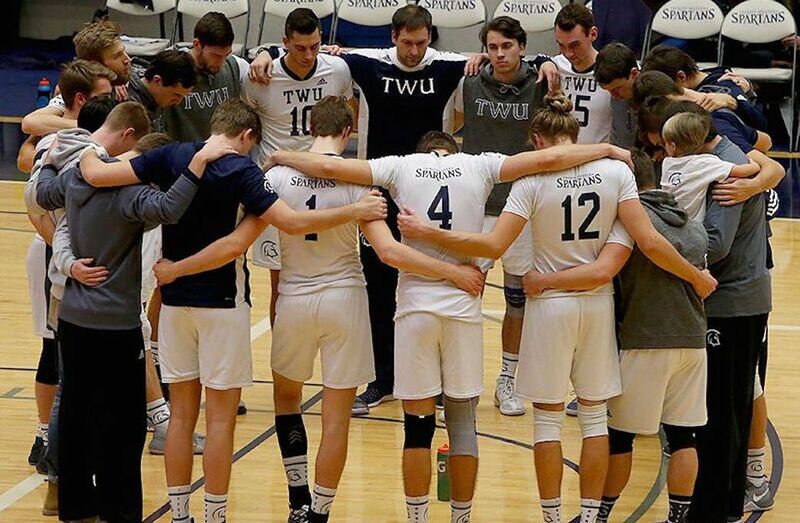 TORONTO (U SPORTS) – The Trinity Western Spartans head to Edmonton as the favourites to defend their U SPORTS Men’s Volleyball title, while the Alberta Pandas hope to end a long drought for the women’s national banner in Toronto. The Alberta Golden Bears host the 2017 U SPORTS FOG Men’s Volleyball Championship for the first time since 2009 this week, and the Ryerson Rams welcome the best in the nation to the 2017 U SPORTS Women’s Volleyball Championship Presented By Jason Rinaldi for the first time in school history. All games from both competitions will be webcast on USPORTS.LIVE. Rounding out the draw for the Women’s Volleyball Championship, the No.1 Pandas (Canada West champions) will be joined in Toronto by the No. 2 McMaster Marauders (OUA champions), No.3 UBC Thunderbirds (Canada West finalists), No.4 Montreal Carabins (RSEQ Champions), No.5 Dalhousie Tigers (AUS Champions), No.6 Western Mustangs (OUA finalists), No.7 Trinity Western Spartans (Canada West bronze medalists), and No.8 Ryerson Rams (OUA 4th place/hosts). More than half of the contending teams have previously captured the national banner, including UBC (10), Alberta (7) and Western (3). Dalhousie and Trinity Western round out the list with one championship each. The Pandas (22-2 regular season) were tabbed as the team to beat after earning the school’s 11th conference gold medal and first since 2012, via a 3-1 victory on home court over UBC on Saturday. 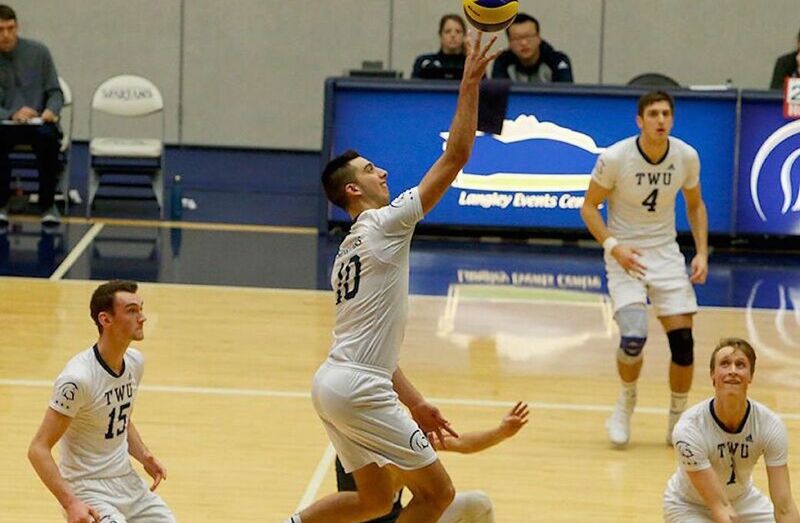 The Thunderbirds (20-4) advanced to the final after disposing of Trinity Western (21-3) by a 3-1 score at the Final Four, with the Spartans rebounding with a straight-sets win over UBC Okanagan to earn the bronze. "We're pleased with the progress we've made as a team this season and very proud to represent Canada West as conference champions,” said Alberta head coach Laurie Eisler. “The field is very strong at nationals this year and we are really staying focused on what is ahead of us, which is a very talented and well-coached Ryerson team. We expect that they will compete hard supported by their fan base and it should be a great environment to start off the U SPORTS Championship." “Our team had an excellent season especially in the second half,” said UBC head coach Doug Reimer. “Having Juliana Kaufmanis return from her academic term in New Zealand was a key component, along with the development of our group. “We are a fairly balanced team with significant depth and experience that should allow us to compete at a higher level than we have for the past couple of years." “This group of girls has put in the time and the work and I feel they are really deserving to be at the dance,” said Trinity Western head coach Ryan Hofer. “I have a strong group of girls that have been in the national final each of the last two years and I believe that they know what it takes to get there and they know what’s needed in terms of the discipline, the commitment and the competitiveness. I know they want a chance to be in that final game. McMaster (16-3) clinched their berth at the national championship after beating Ryerson 3-1 in the OUA semifinal, before barely edging Western 3-2 for the team’s third title and second in four seasons. Ryerson later fell to defending national champion and No.1-ranked Toronto in the bronze medal game, just missing the conference podium. "As soon as we weren't able to meet our goals at the OUA Championship, we've had to refocus for this week,” Ryerson head coach Dustin Reid. “We didn't go to OUAs to tune up for nationals. We were there to win. The reality now is that it comes down to one match on Friday. We have to prepare for that and be able to play the best version of volleyball that we can for that period of time and find a way to beat our competitor." The Carabins (15-5) secured a third consecutive RSEQ banner and eighth in the last 10 years after back-to-back two-game sweeps of Sherbrooke and Laval, advancing with a convincing 3-0 win over the Rouge et Or. Dalhousie’s (19-1) reign will continue for another year in the AUS, after the Tigers achieved their fifth straight conference championship with a pair of straight-set victories over Moncton in the best-of-three final.